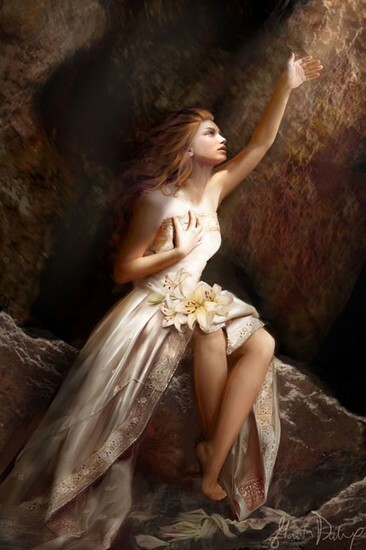 Persephone, the Goddess of War is a stunning young woman and Olympian, with a smile to light up the world. One day she was collecting flowers, when Hades her uncle, fellow Olympian and God of the Underworld noticed her. Hades instantly fell in love like when Aphrodite charms people. Immediately before someone could come to her aid, Hades kidnapped her and dragged her off to the Underworld. Persephone would not stop crying was terrified, she had heard of a myth that if she ate anything in the Underworld she would be trapped there forever. Persephone rejected Hades and refused to eat. Time grew and Persephone couldn't bare hunger any more, she was so hungry. She couldn't resist food, so she ate six pomegranate seeds. Her fate was now sealed she was to live in the Underworld. Meanwhile Demeter Goddess of crops and plants and Olympian wanted Persephone. She was Persephone's mother and couldn't stop crying she missed her daughter deeply. It had been such a long time since Demeter had seen her. Demeter was so upset she couldn't even care for her crops. Selfishly, Zeus, Olympian and king of all Gods was only worried about no-one worshipping him. Zeus knew if Demeter kept on crying and never looked after her crops then his worshippers would die. He then became frightened and decided he had to do something. Zeus then called upon his youngest son,God and Olympian Hermes. Hermes was Messenger for the Gods and was great at arranging deals since he was a young infant. Hermes went to Hades and discussed a deal. The deal was that Persephone had to marry Hades and become Queen of the Underworld. She would then have to send six months of the year living in the Underworld with Hades, but then for other six months of the year she would be rewarded and stay with her mother Demeter. Finally everyone agreed to the deal even Demeter. 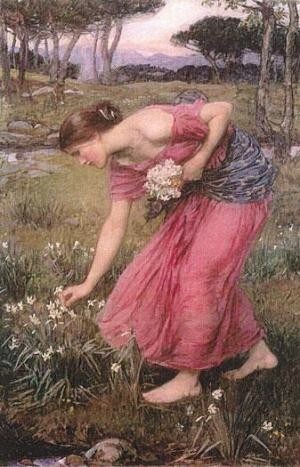 Now every spring Demeter helps all the flowers and crops to grow beautifully to welcome her daughter. But when Persephone returns to the Underworld, Demeter lets all the flowers and crops die while she cries until the cycle starts again. Demeter has now been crying more often, because she is missing her daughter. She knows that Persephone is getting older, and she wants to look after her. Demeter is over thinking her decision, but is willing to continue with the deal. She is afraid that if she disagrees with the deal then she may never see her daughter again. Marta Dahlig is one of the most known deviants on deviantart.com with nearly 4 milion views on her profile and who knows how many on all her deviations. She is known for her 7 deadly sins drawings of women.